The original Volkswagen Transporter is amongst the most recognisable light commercial vehicles of all time. 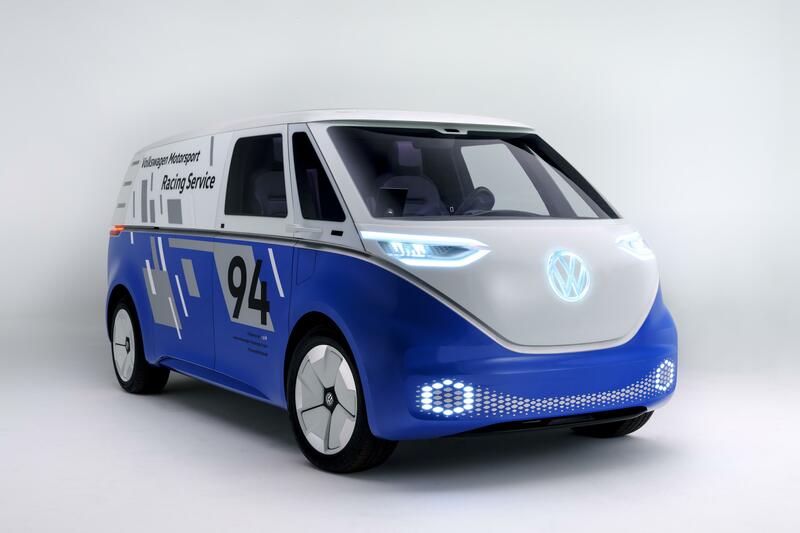 With the premiere of the ID Buzz Cargo concept, Volkswagen Commercial Vehicles is showing how an electrically powered and completely redeveloped Transporter might change the world of LCVs. Based on the Modular Electric Drive Kit (MEB), and a sibling to the Buzz concept first shown in Detroit last year, the Cargo could be launched as a production vehicle in Europe as early as 2022. Such a vehicle has the potential to revolutionise parcel delivery. Between 2005 and 2015, the global number of parcels delivered grew by 128%, due in large part to the revolution in e-commerce and home delivery. In the USA, delivery trucks account for 7% of urban traffic and 17% of congestion costs due to wasted hours and fuel. The use of autonomous electric delivery vans has the potential to lower the CO2 footprint of these vehicles, lower operating costs to delivery services (and thus, potentially, to customers), and make the whole process more efficient. As the newest member of the ID family - a new generation of fully-connected electric vehicles - Cargo features long range driving capability. Depending on the size of the battery pack, it can achieve ranges between about 200 and 340 miles on the WLTP cycle. If the vehicle covers fairly normal distances in the city on a daily and weekly basis, a Lithium-ion battery with an energy capacity of 48 kWh is recommended. If greater range is needed, the energy capacity can be increased up to 111 kWh. Volkswagen Commercial Vehicles has combined the battery in the Cargo with a 201 horsepower (150 kW) electric motor, a single-speed transmission, and rear wheel drive. However, an all-wheel drive system, like the one implemented in the ID Buzz, is possible in the future simply by adding a motor at the front of the vehicle. The flow of high voltage energy between the motor and the battery is controlled by the power electronics. Direct current (DC) stored in the battery is converted into alternating current (AC). A DC/DC converter supplies the onboard electronics with 12 volts. The vehicle’s top speed is electronically limited to 99 mph. The 111kWh battery in the Cargo can be charged to 80% capacity in 30 minutes with a 150kW DC fastcharger. The battery system has also been prepared for inductive charging. To charge, the van is positioned over a charging plate while parking. As soon as the control unit of the charging plate in the pavement has set up a communications channel with the vehicle, contactless energy can be transferred through an electromagnetic field generated between two coils (one in the floor of the parking space and one in the vehicle).